The Distinguished Speaker Series invites prominent experts and practitioners in international affairs to discuss topics and issues related to global governance, the rule of law, and conflict prevention. On 4 February, The Hague Institute hosted former Prime Minister of the Netherlands, Jan Peter Balkenende, as part of our Distinguished Speaker Series. 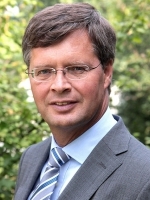 Mr. Balkenende, who led the Netherlands from 2002 to 2010, was one of the longest-serving Prime Ministers in Dutch history and is one of the leading European politicians of the past decade. Mr. Balkenende spoke on the topic of “Sustainable Development and Global Justice,” reflecting his emergence as a leading expert in this field. He currently serves as a Professor of Governance, Institutions and Internationalization at Erasmus University, Rotterdam, as well as a partner at Ernst and Young, where he works in the field of corporate responsibility.